Late for the Sky Production Company of Cincinnati, Ohio has just released a customized Monster Jam® board game called Monster Jam-opoly. 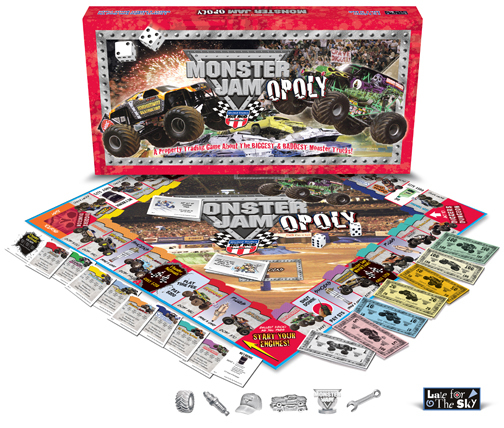 The game has all the fun of a traditional property trading game with a huge twist for all Monster Jam® lovers. With Monster Jam-opoly players build their own Monster Jam® fleet of monster trucks. The biggest and baddest monster trucks are featured in this great game. Each monster truck title has fun facts about your favorite drivers and the monster trucks. Players buy toolboxes to upgrade their trucks, trade them in to build their dream garage and maximize their fleet’s value while trying to avoid going to Digger’s Dungeon®. Click here to order your game. 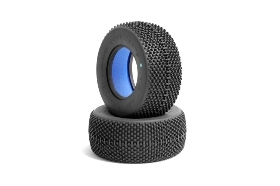 By popular demand JConcepts is bringing the Rulux design to short course racing. 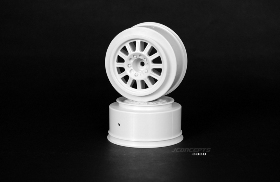 Available for the HPI Blitz these wheels are 1:1 inspired and offer a look that is unmistakably JConcepts. No detail has been missed with these beauties as the Rulux wheel incorporates a lug nut and spoke affect that emulates the real thing. Wheel profile, interior and exterior ribbing and spoke design were all areas of focus while creating the combination of durability, clearance, functionality and appearance. With white and black colors to choose from, being unique is worry free as practically any paint scheme can be matched to these exciting new wheels. The hassle-free and lightweight 1-piece design creates the ultimate race and show wheel for any competition. Decorate your vehicle in style with the latest in JConcepts decals. Specifically for the Truth / Dare body line, this unique decal sheet is vividly printed and includes all the JConcepts brand identities associated with the Truth and Dare. Decorate your vehicle in style with the latest in JConcepts decals. Specific to JConcepts, this unique decal sheet is vividly printed and includes all JConcepts brand identities associated with the latest body and tire lines. Decorate your vehicle in style with the latest in JConcepts decals. 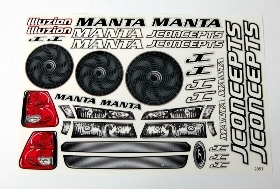 Specifically for the Manta body line, this unique decal sheet is vividly printed and includes all the JConcepts brand identities associated with the popular new Manta body. The ultimate vehicle stand from JConcepts is here. Utilizing a doubled ended extended height design, the new vehicle stand has plenty of footing for all sorts of chassis layouts and designs. For the ultimate in versatility the new stand can also be quickly disassembled and assembled and used for storage of all the miscellaneous R/C equipment found in the pits at the end of the day. Use them as stands or containers; it is simply up to the imagination. *Neatly organized pit area, supplies and mat, not included. JConcepts has produced a number of new videos from the 2010 Cactus Classic. Watch Ryan Maifield, Steven Hartson, Kody Numedahl, Tanner Denney, Lee Martin, Jake Thayer, Ronnie Gardner, Richard Lake and others take on Ryan Cavalieri, Jared Tebo and Mark Pavidis at this prestigious 24th annual event. Click on the above links to view the race videos. JConcepts once again has a strong showing at the 2010 Cactus Classic. Kody Numedahl, driving the Associated SC10, dominates Short Course qualifying at the 2010 Cactus Classic with the JConcepts new Double Dees tires. Kody was on rails all weekend while TQ’ing in 2 of the 4 round of qualifying and finishing 2nd in the A-main. The 15 minute A-main on the abrasive track was no problem as the long lasting Double Dees went the distance. 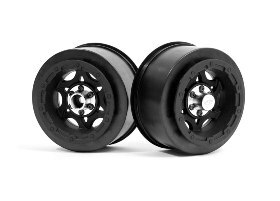 Kody’s truck was topped off with a JConcepts SC10 Truth body and his wheel of choice was the black Rulux wheels. 7 of the 10 trucks in the A-main were running JConcepts Double Dees tires and accessories. Local ace driver Tanner Denney took TQ and won the 10.5 4wd class with his B44 running the JConcepts Bar Codes in orange compound. Tanner completed his JConcepts assortment of product with a B44 Hi-Flow body and 6.5” wing. In this extended 15 minute main Tanner showed the durability of the orange compound is up to the task for the abrasive hot Arizona surface. Jeremy Fellas TQ’ed and won the stock buggy and truck classes utilizing the JConcepts Bar Codes in orange compound. Jeremy, a very experienced driver in the southern California area and West Coast R/C driver, had competition all weekend but in the end was too much for the competition. Jeremy’s silver bullet bodied vehicles were decked out with JConcepts tires and accessories all weekend. In the modified classes JConcepts driver Ryan Maifield was on fire all weekend in qualifying and main events. Narrowly missing TQ in the modified truck and 4wd classes Ryan started second on the grid. A failure in mod truck A-1 put him behind the curve but finished 2nd in A-2 and took home the win in A-3 to give him 2nd overall. Bar Codes in orange compound were the # 1 choice for Maifield and other A-main drivers throughout qualifying and main events. Jared Tebo who took home the overall championship in modified truck took first place in A-1 with JConcepts Bar Codes in blue compound. Things started off poorly for Ryan in A-1 of 4wd as a mechanical problem side-lined him for most of the race. In A-2 he raced nearly 4 feet behind Ryan Cavalieri for the entire race looking for a pass but would again settle for 2nd. A-3 belonged to Maifield as his driving and set-up came together and walked away with a big win in the last main securing 2nd overall. Bar Codes in orange compound owned A-3. Lee Martin and Steven Hartson also on Bar Codes throughout the weekend qualified in the A-main with respectable finishes in all 3 A-mains. Some unfortunate qualifying runs placed Maifield 5th on the grid in the 2wd modified class. However, it would not be long until he found himself in contention running in 4th in A-1. A brilliant pass at the end of the straight-away put Ryan in 3rd place with just a few laps to go. In A-2 he again found himself in 3rd place. Cavalieri would take the win in A-2 and the overall championship setting up a showdown between Maifield and Tebo for 2nd and 3rd place in the overall. A-2 started with Tebo getting a great start but soon Maifield would be hot on the heals of the leaders and sticking the car inside once or twice looking for a pass. Tebo made a mistake on the roller coaster section putting Maifield in the lead which he would hold the rest of the race. After the tie-break in points Tebo was awarded 2nd and Maifield 3rd. 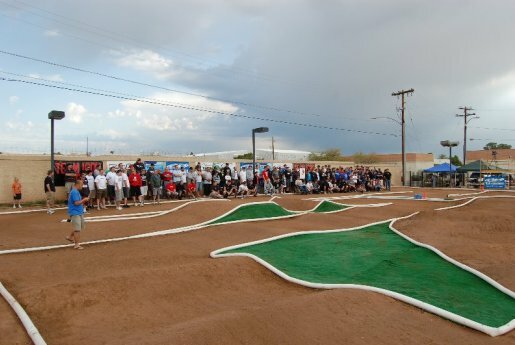 The 2010 Cactus Classic was an overall great weekend for JConcepts. An introduction of new products proved to be successful in the SCT class with TQ and 2nd place. Ryan Maifield and the rest of the JConcepts team continued with success by taking superior finishes in the 1/10th buggy, 4wd and truck classes with Bar Codes and other JConcepts accessories. Double Dees and Subcultures tires along with Tense wheels for the Slash 4x4 have made their appearance at the 2010 Cactus Classic. Expect to see the official release very soon along with detailed descriptions and details. JP Tirronen, Florida’s hottest new driver TQ’ed round # 3 of the Florida State off-road series in Daytona Beach, FL. 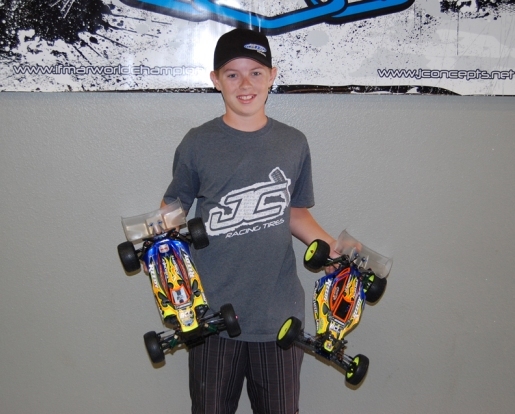 JP was running the complete assortment of JConcepts products on his RC8b to TQ over some of Florida’s quickest drivers. The weapons of choice for the weekend were the Double Dees in blue compound for qualifying and Subcultures in blue compound for a 30 minute A-main event. 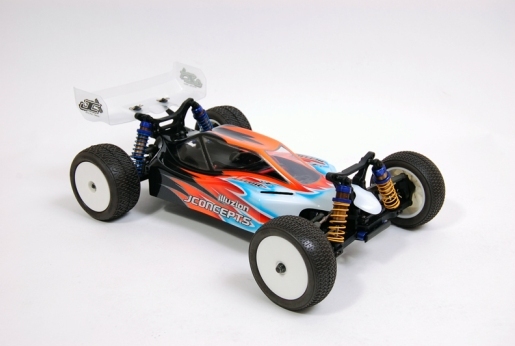 A custom painted Hi-Flow body with black Illuzion wing and Rulux wheels finished off an otherwise stock RC8b. 5 of the 8 pre-seated drivers in the Pro 1/8th A-main were running JConcepts. Ben Townsend, also running the Subcultures tire won the Sportsman 1/8th buggy class with youngster Sean Krause finishing in the second position utilizing the same tires and accessories. Congratulations drivers. Watch out for these upcoming drivers at FSORS rounds 5-8. JConcepts has a victorious outing at 2010 Motorama. Chad Due and Jason Ruona take 5 wins in the electric modified classes. JR Mitch makes a strong showing in 1/8th electric, nitro and 1/8th truck. Motorama is an east coast motorsports spectacular. Combining the best of amateur and professional's alike Motorama has become an east coast favorite. Open to the public, this event has constant exposure to new people which makes attendance ideal for industry marketing and growth. With a split nitro and electric event things were especially busy. JConcepts drivers Chad Due, Jason Ruona and JR Mitch made the trip to snowy Pennsylvania with high hopes. Chad Due racing his JConcepts equipped B4, T4 and SC10 had a fantastic weekend taking all 3 TQ’s and wins. Chad’s tire of choice for the weekend were the JConcepts Gold compound Bar Codes front and rear on the B4 and T4 and Goose Bumps in Green Compound on the Short Course SC10. Chad also used the new JConcepts Manta Short Course body for the first time in the main events and reported improved control and balance while being able to push the truck harder. Jason Ruona with his JConcepts equipped B44 took out the 4wd modified class by winning A-main #1 and #2. 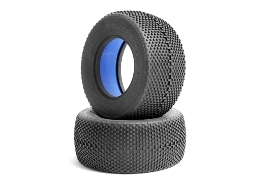 Jason’s tire of choice on the B44 was also the JConcepts Gold compound Bar Codes front and rear. Jason pushed Chad in the Short Course mains by winning A2 and after a tie in points and a faster overall time Chad was awarded the first place. Jason’s SC10 was fitted with the custom painted Truth body for the SC10. JR Mitch running the nitro program remained at the top of the event all weekend. Qualifying 3rd in all classes which included 1/8th nitro and electric buggy and also 1/8th truck, JR was on quite a roll. Double Dees were the hot choice in buggy as JR blistered the track with a TQ in round 4 of qualifying. With a great start in the buggy A-main JR had no problems early and pulled out to a nice lead. A small mistake put him in 3rd and chasing the leaders but time was of the essence. An extra pit stop made things more difficult giving away valuable time to the speedy crew from Las Vegas and California. After a hard fought 30 minute main JR would have to settle for 4th narrowly missing the podium. Post race inspections shows great tire wear and insert longevity. Double Dees were the correct choice. Truggy was pure muscle as Cross Hairs appeared to be yet again an all purpose performer as JR finished off 2nd in round 4 positioning himself nicely in 3rd place on the grid for the A-main. With drivers introduced and truggies running it was down and quiet and blast off. Mitch battled hard but was a victim to unfortunate traffic and an extra pit stop which allowed Phillip Atondo to jump into second and close in on the leader. JR crossed the finish for a well deserved 3rd place. Looking over his equipment during the post race review showed once again great tire and insert wear characteristics. Cross Hairs in Blue Compound appear to have been the right choice once again. Congratulations to the winners and race organizers at the 2010 Motorama, looking forward to next year. For the ultimate in form and function, JConcepts introduces the Hi-Flow body for the Kyosho ZX5-FS 4wd off-road buggy. The Illuzion “Hi-Flow” styling presents a flowing design while incorporating many radical edge styling details for additional style and performance. Race inspired aggressive styling, Illuzionized cab and side pod impressions combined with a durable flowing design are just a few of the features of the new Hi-Flow. Click the article title to read the full story. Race venues, dates and times are subject to change. Please check back frequently for the latest information. If you have missed one of our races click here to see the results and photo gallery. R/C Monster Truck Gallery Updated! Do you have an extreme R/C Monster Truck? Check out our R/C Monster Truck Gallery. Click here to go to the gallery. If you would like to have your truck showcased in our R/C Monster Truck Gallery please click here to send us your truck information and pictures. You can upload four pictures for your truck. 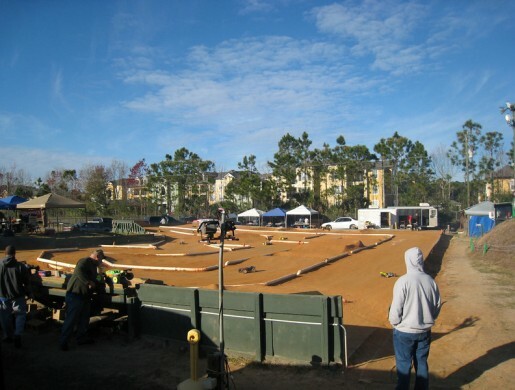 Are you one of the area's top RC Monster Truck drivers? Check out our R/C Monster Truck Racer Gallery. Click here to go to the gallery and read all about the top R/C Monster Truck racers. If you would like to be listed in our Racer Gallery click here to send us your information and pictures. Real Monster Truck Gallery Updated! Do you own a Monster Truck? If you would like to have your truck showcased in our Monster Truck Gallery please click here to send us your truck information and pictures. 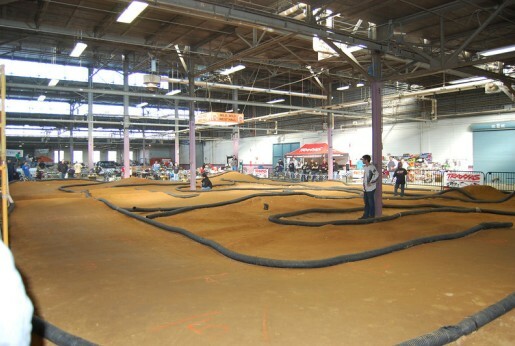 R/C Monster Motorsports organized race results for the 2008 season.